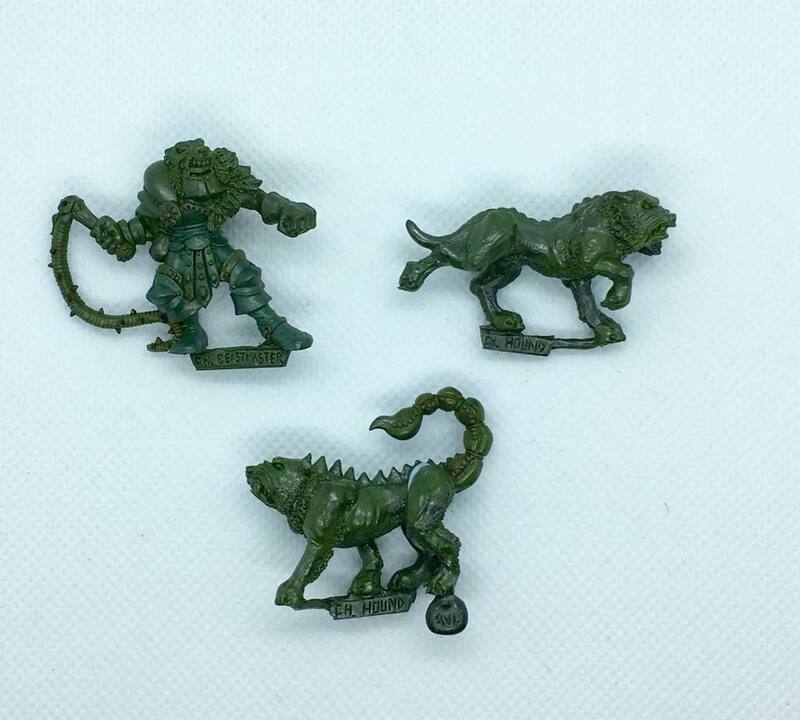 LEADPLAGUE: Marauder Beastmaster and Chaos hound - Make a Trish ! Lovely! These look rabid and dangerous- full of hot frenzy. I hope this is the start of a warband to oppose your warband of law? Well it is your contest, so glad you are first out of the gate. You’ve raised they bar high for this one. Looking forward to seeing what everyone else comes up with as well. I know there are some solid contestants and I wanted to make Trish proud of us ! Nicely done JB. The detail on the back is particularly nice. You have done a great job on evoking his character. Thanks Michal, any chance of seeing you take part ? Nice to see the contest get started mate! Great choice of models; I'm sure she'll approve. Good choice of colour schemes. I love what you've done with the hound's faces. I hope to see your regular input levels replenished! Cheers Ed, Output levels might get better at some point, the main thing being to enjoy it ! Dammit, you made me regret not being on FB. Specifically about your work, I simply love your personal art. So recognizable, no mater what. Magnificent!! You have plenty of time to get in the ring ! These are absolutely wonderful!! Do you know if there's any reason Trish primed hers green? I don't think she primed hers green, these are the originals she sculpted out of Kneadadite AKA green stuff, hence the green colour. Those were copied to make master copies from which production moulds were made. Great paintob, as usual. And lovely figures! Thanks a lot ! Inspiring miniatures ! Fantastic pair ... I love how the greenish tint on the beast's skin tone helps to bring out the reds on the Beastmaster. Thanks for noticing, I found it important to tie both the beat and its master !